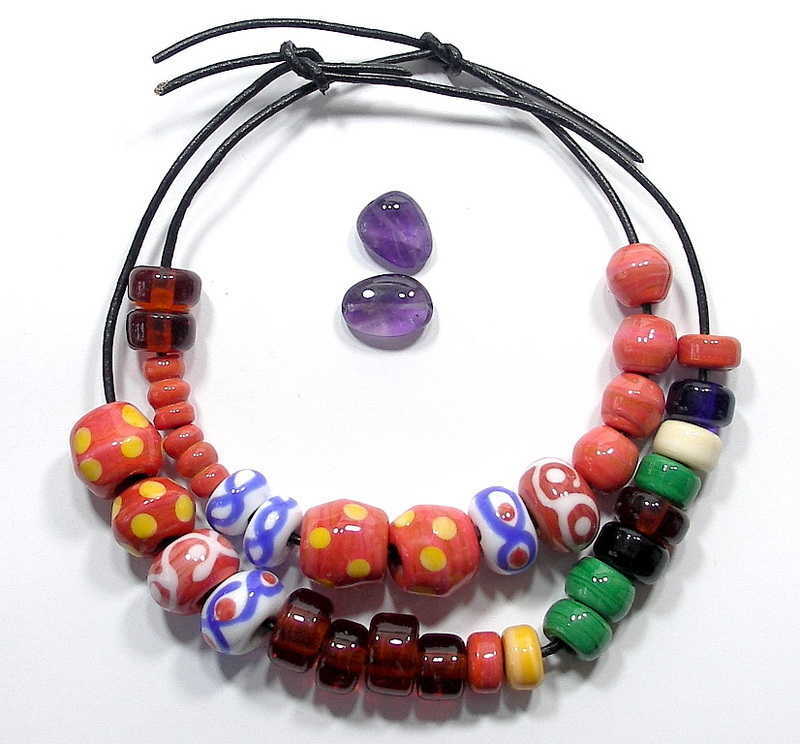 Tillerman Beads supplies handmade lampwork reproduction beads for museum displays or handling collections as well as items for sale in gift shops. Please contact us for pricing on custom work or for our discount rates on orders for resale in shops. We can produce beads from your specifications or assemble a suggested group of beads to suit your requirements. A set of beads created for a display at the Sutton Hoo Museum.